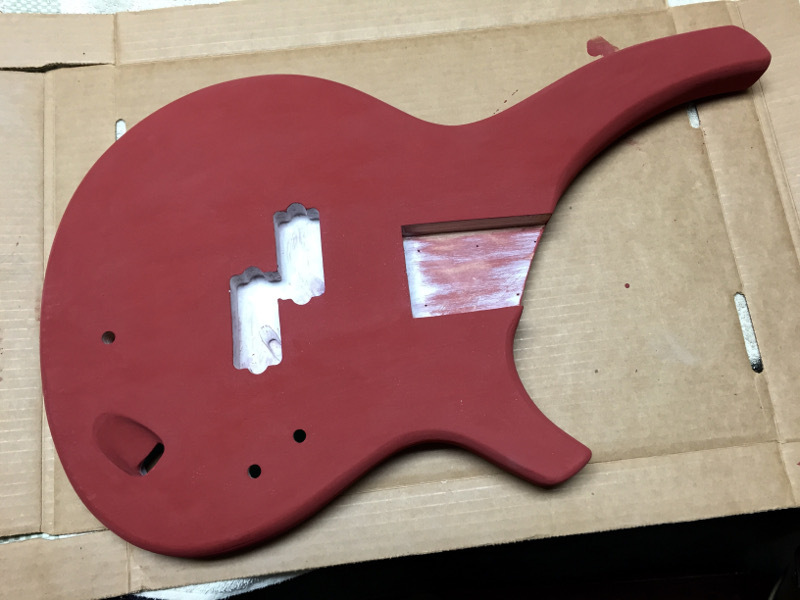 The finish started out with a layer of deep red. This is Milk Paint and it has a very, very flat finish. This is the base layer. The next layer is Oyster White This will be the final surface. Milk paint starts out very flat but with a little sanding and buffing it gets a nice semi-gloss finish. Once the two layers have dried, we do a bit of distressing by sanding through the top layer and in some areas even through the base layer. 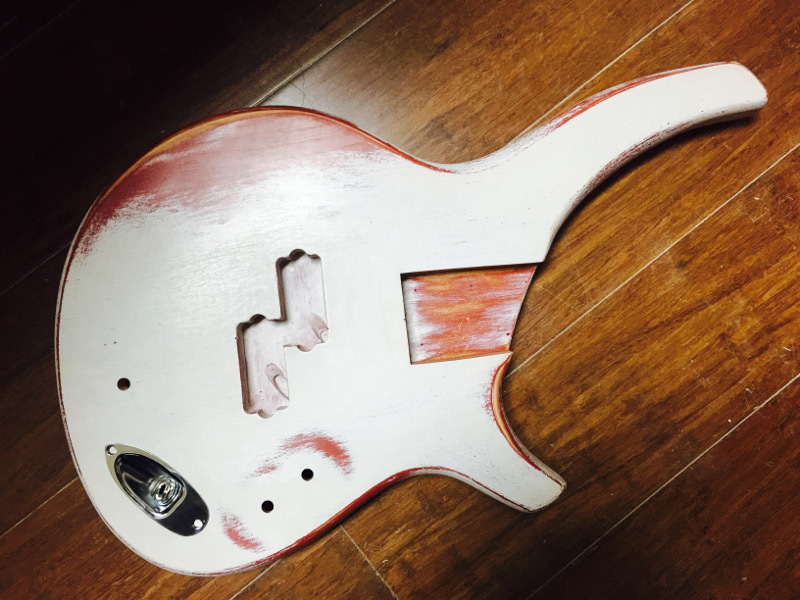 Looks like a well-used bass right out of the gate. 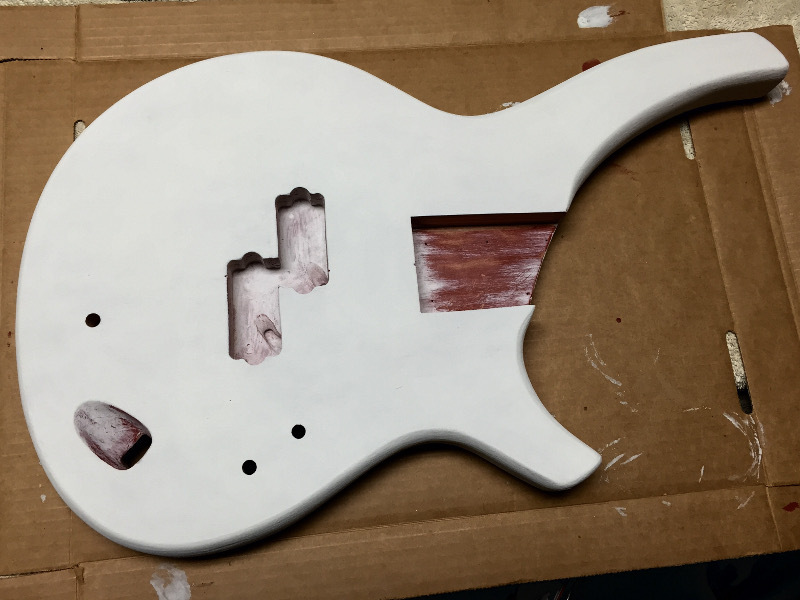 Then we add a urethane coat to seal the paint and give it some water-resistance. Voila! An old familiar friend from the very first day. No need to worry about getting that first scratch or nick or ding, they’re already there! Me LOVE! Are you going steel string? Ha Ha yes steeel strings. Short scale strings so they’ll be a little fatter but steel none the less.